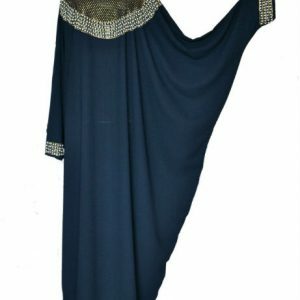 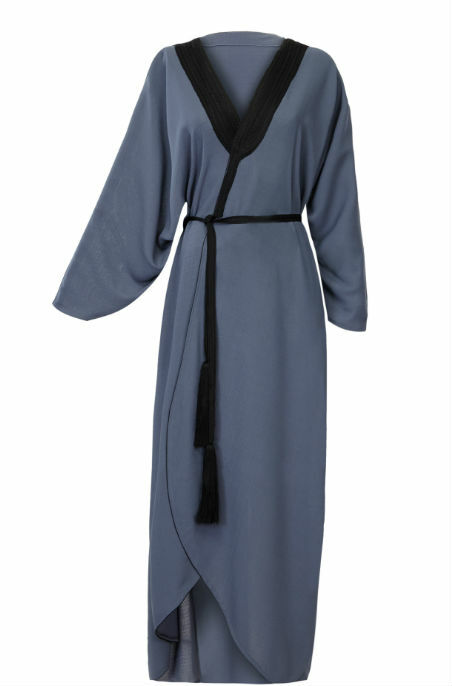 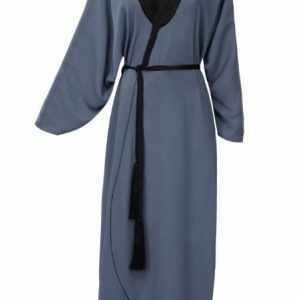 This stylish abaya is crafted from lightweight blue linen. 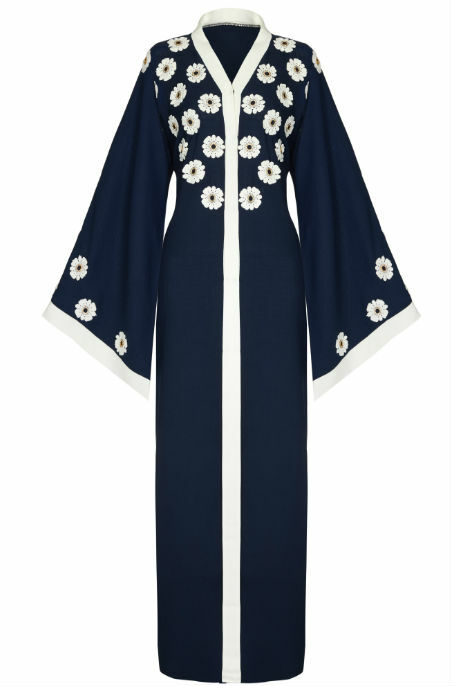 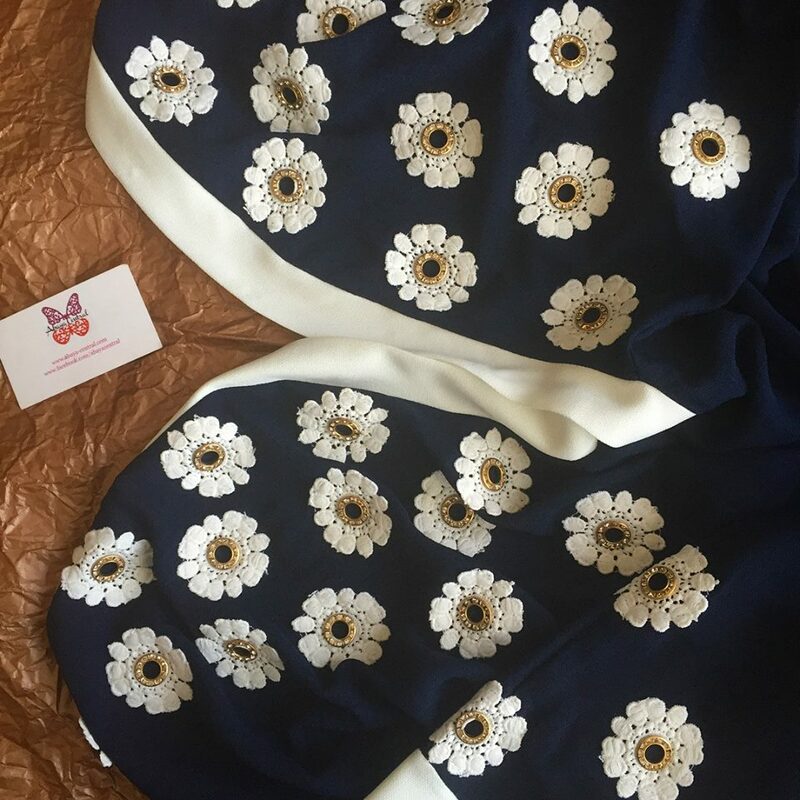 This abaya is embellished with pretty crochet white florals that are further decorated with golden rims and diamante. 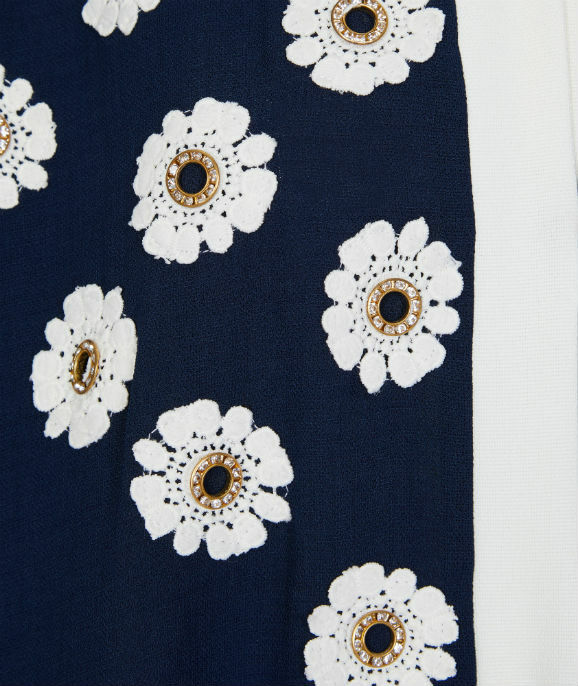 Perfect as a party piece. 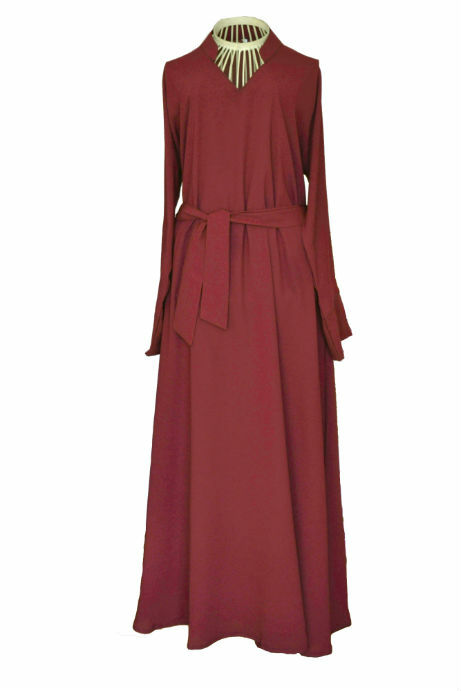 The style and class is emphasized further with white panelling at the front and at the sleeves. 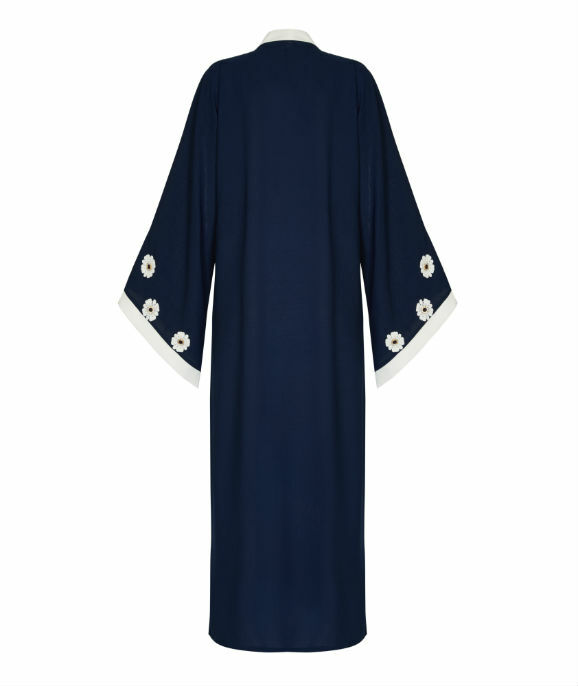 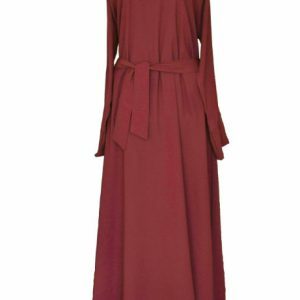 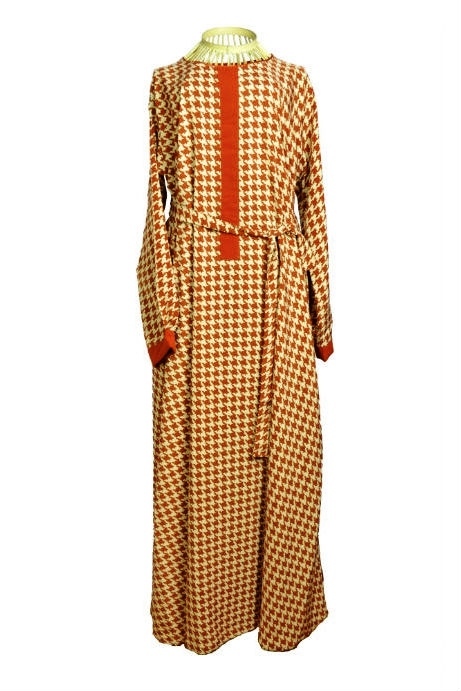 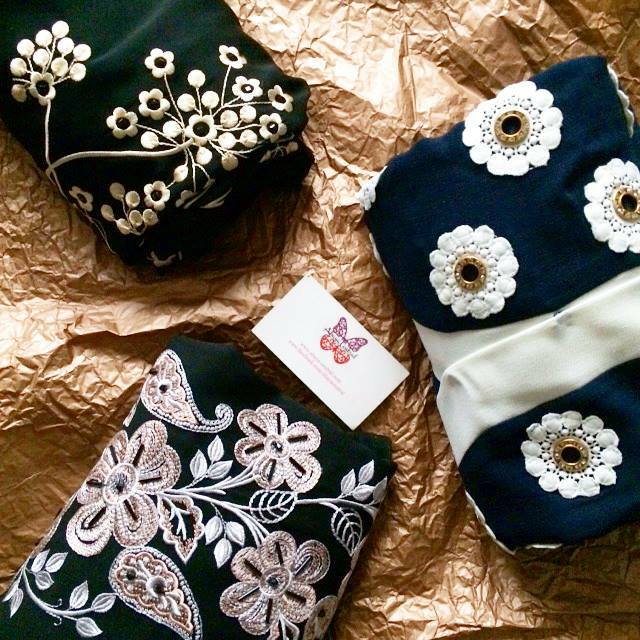 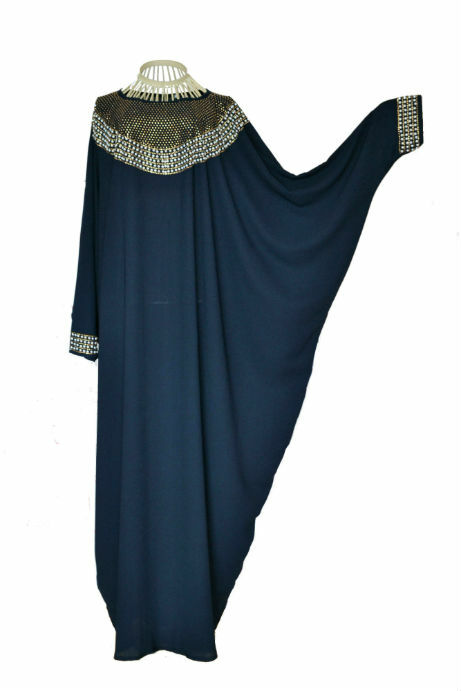 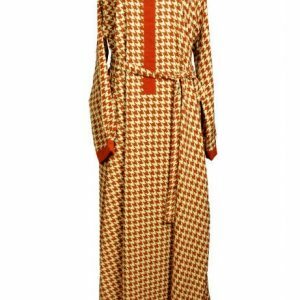 Button fastening gives you the option to wear this abaya open or closed. 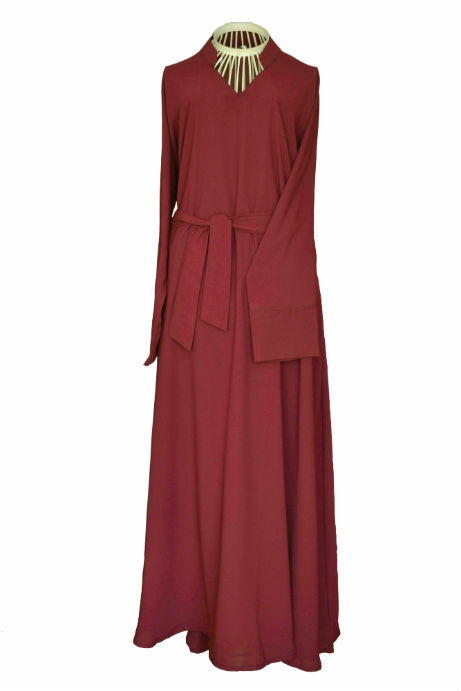 Dress this stunning piece with simple heels and clutch for a fabulous spring look.